Looking to track your registrations in Google Analytics or Facebook Ads for example? Do you need to send an event to a third party software when someone fills out the registration form? This article will help you. Log in to your Livestorm account. Go to Settings > Integration > Custom code. You can just paste your custom code between script tags for instance. You can even tell Livestorm if you want to have it automatically set up for each new webinar you create. Important note: integrations you set up will be disabled by default for your previously created webinars. 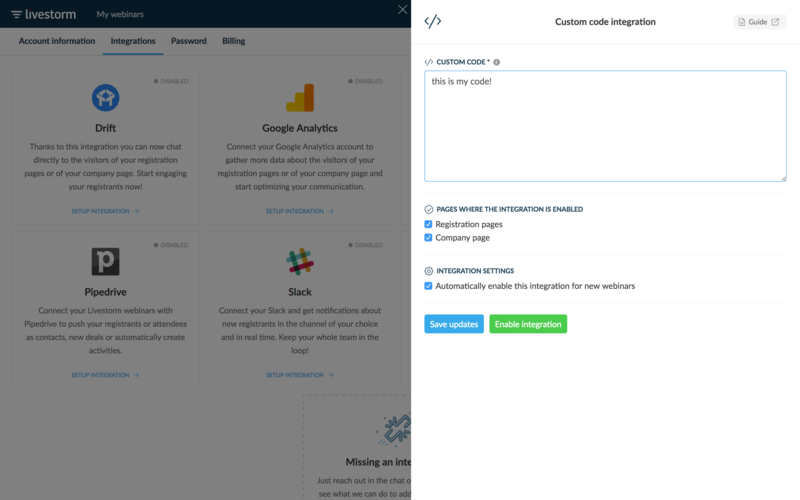 If you want to enable the integration for a previous webinar, just go to the webinar settings page and enable it under "integrations"
Here a couple examples from common advertising networks. Another easy way to track registrations is to send events via Zapier ( what's Zapier) once someone has registered. 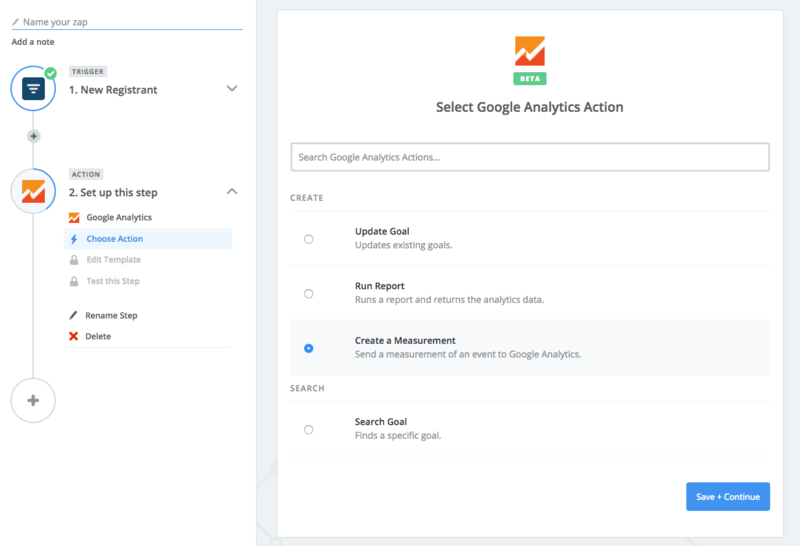 Then you can send events to Facebook Ads, Adroll, or even Google Analytics. 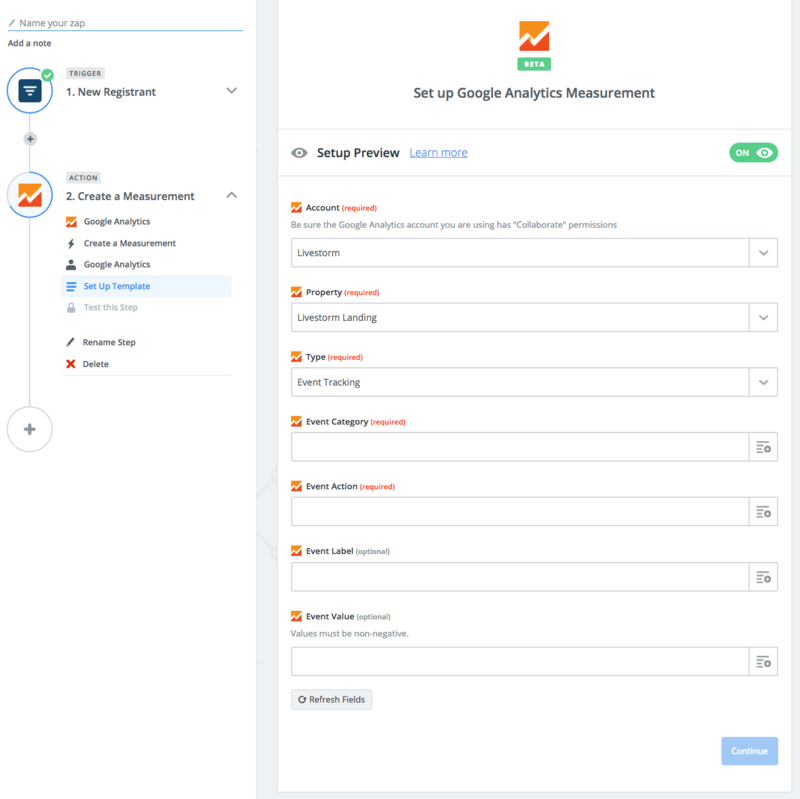 In any case, here's the Zapier example to track registrations. The first step will be the trigger called "New registrant". 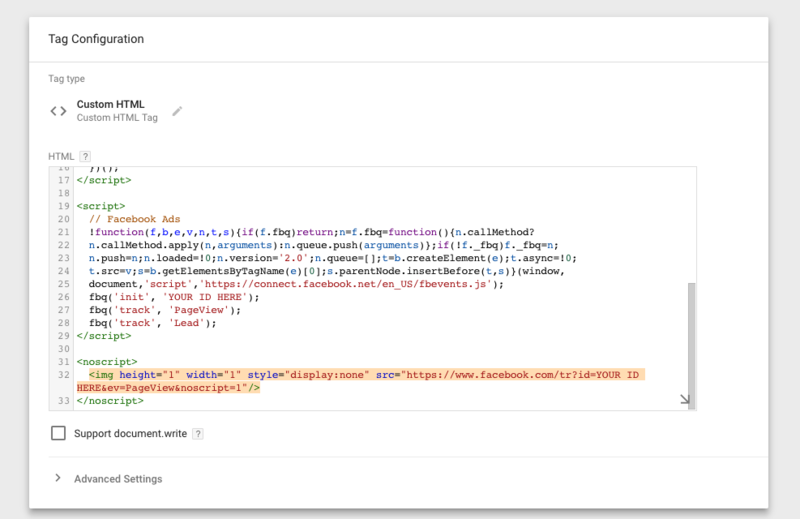 Instead of using the custom code you can just load Google Tag Manager and handle the code on GTM's end. You can define triggers that will help you create the action within Google Tag Manager. First, you need to put your GTM tag in your custom code integration.